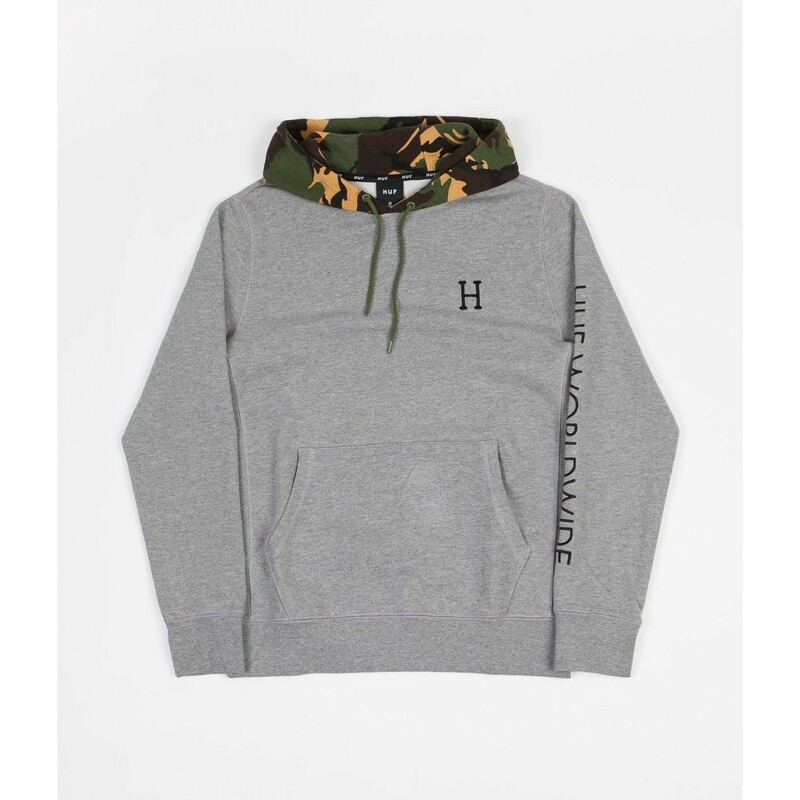 HUF Voyage French Terry Hoodie arriving in this athletic heather colourway which features a contrasting camo hood. Made from 100% cotton, 360g french terry fabric. The HUF Voyage French Terry Hoodie is regular fitting and includes ribbed inserts at the sides as well as ribbed cuffs and hem and a drawstring adjustable hood. 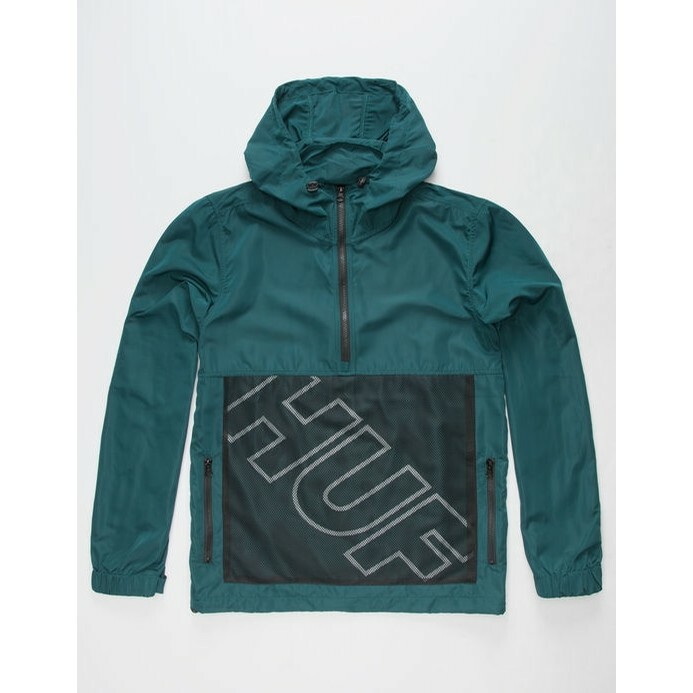 Featuring a kangaroo pouch pocket on the front and black embroidery, with the brands H logo on the chest and HUF worldwide down the left sleeve.